Heat a large saucepan to medium-high. Melt dairy free butter, and add minced garlic. Sauté until fragrant, about 30 seconds. 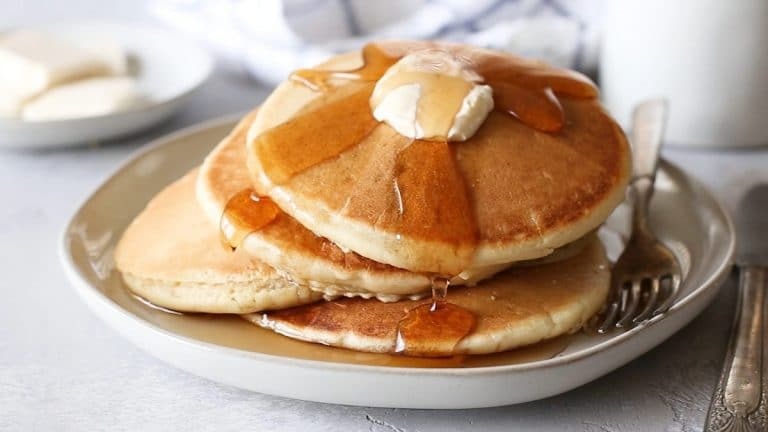 Whisk in flour until you have a smooth roux. Slowly whisk in milks and broth until smooth. Let sauce simmer until it has reached a thick consistency, and can easily coat the back of a spoon. Layer half of the sliced potatoes in a 9×13 baking dish, and cover with half of the sauce. Repeat with remaining potatoes and sauce. Cover pan with foil and bake for 30 minutes. Remove foil and continue cooking for 25 – 30 minutes, or until potatoes have softened. 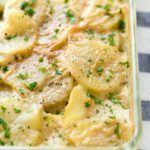 Allow the scalloped potatoes to rest for at least 10 minutes before serving. *Feel free to use chicken broth if you’re not vegan.